Michelle is a strategic marketing and communications specialist, with 20 years’ experience working in the health, government, education and employment sectors. Michelle is the founder of Wade Marketing and has held senior executive positions with government health and not-for-profit organisations. She brings specialist knowledge in marketing, brand and communications strategy, multichannel marketing campaigns, multichannel service delivery and customer engagement strategy. 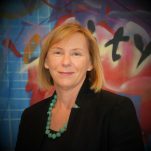 Michelle holds tertiary qualifications in commerce and marketing and is a member of the Australian Institute of Company Directors. She feels strongly about providing support and services to improve the lives of young people affected by health and mental health concerns, social isolation and homelessness.